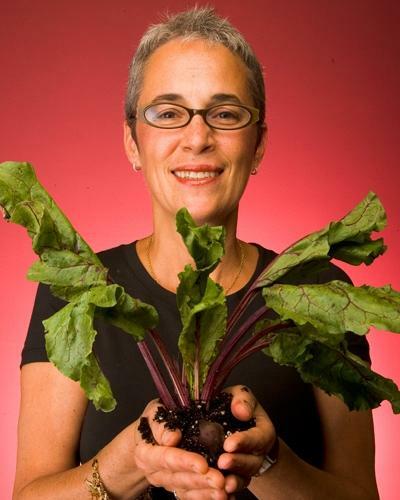 Liz Neumark is the CEO and Founder of Great Performances, rated Zagat's Top Catering Company in New York City. Originally intended as a staffing service for women in the arts, Great Performances has evolved into one of the nation's most recognized and trendsetting catering companies. Liz's commitment to supporting sustainable agriculture and good earth practices led her to establish Katchkie Farm, her sixty-acre organic farm in upstate New York, in 2007 - as well as providing fresh produce for catering events. She speaks with Alan about her new book, Sylvia's Table: Fresh, Seasonal Recipes from Our Farm to Your Family. Longtime North Bennington resident, museum curator and author Tom Fels is back telling farm stories, specifically about the Montague Farm. His new book is Buying The Farm: Peace and War on a Sixties Commune. Fels is following up on the success of his book Farm Friends in which he told the story of the many of personalities of Montague Farm, a commune in western Massachusetts where he spent four years, from 1969 to 1973. His latest offering is a comprehensive history of that same cooperative from its inception to the present day. In 2008, farmers grew enough to feed twice the world's population, yet more people starved than ever before—and most of them were farmers. An organic farm in western Massachusetts is the officially designated retirement place for the carriage horses of New York’s Central Park. Blue Star Equiculture of Palmer Massachusetts is participating in an event this weekend where people will have a chance to learn more about its unique mission to help working horses. WAMC’s Pioneer Valley Bureau Chief Paul Tuthill spoke with Blue Star Equiculture’s executive director, Pamela Rickenbach.